Tammy365: Mom-ism Monday #12: Flattery or not? Mom-ism Monday #12: Flattery or not? Today's "ism" comes from my late father-in-law Claude. 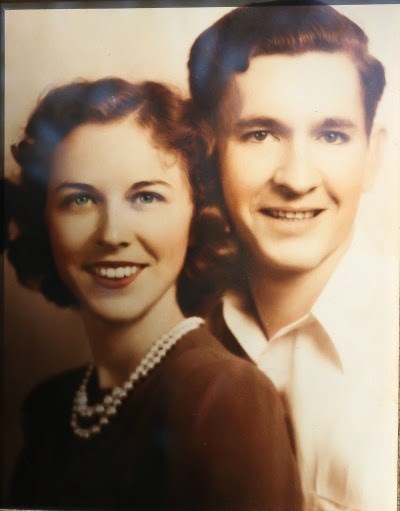 He was a looker at 86 years old when he passed away. He still had a head full of thick whitish gray hair and his face was that of a 50-year-old. I'm not sure how he hid the wear and tear of 86 years behind an almost wrinkle-less facade but he mastered it. Here's a picture of my in-laws in their younger years. Beautiful couple. Claude was a quiet guy who enjoyed fishing. I remember him as friendly with a keen knowledge of life that he didn't readily share. I know I aggravated him asking so many questions. He intrigued me. I tried my best to uncover more about him than he wanted to tell. We lovingly call him "Pop". His sense of humor was offhandedly funny. He used analogies to get his point across. One such analogy he made served him well. His five sons still use it today. The smart quip is being handed down into the third generation of his family. 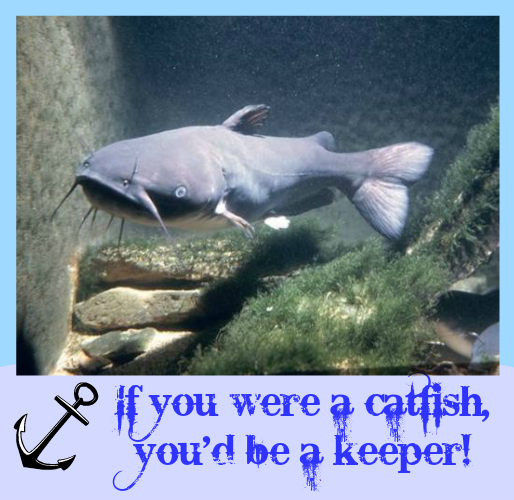 "If you were a catfish, you'd be a keeper!" Anyone who knows how to fish understands what he means. The reason for catching catfish used to be to eat. You needed a pretty big catfish to filet without bones. Some states probably have regulations on the keeper size of a catfish. A "keeper" catfish is a good thing! This "ism" may be something you'd like to adopt to reference size instead of some of the less attractive words of today. I like to think of the term as kinda flattering or a positive negative!